Does How You Respond to Stress Really Matter for your Life and Career? 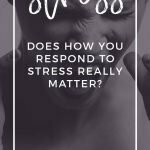 Does How You Respond to Stress Really Matter? 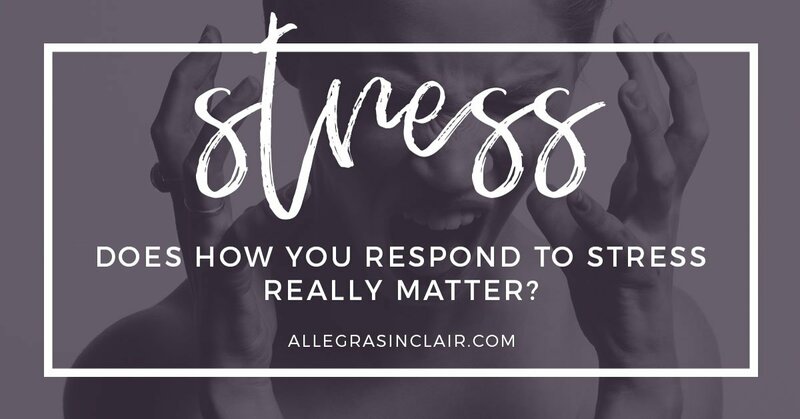 Have you wondered if how you respond to stress matters? It does! The way you respond to stress can affect how much you enjoy your life and how successful you will be in your career. NOW are you interested? Managing stress is definitely a skill that’s worth developing because it affects so many areas of your life. How you respond to stress even affects your health. It’s silly to think that anyone could avoid all stressful situations. Have you ever watched that show, Island Hunters? These people are on the hunt for their own private islands to increase their quality of life and reduce their stress. Sounds fantastic, I want an island now! However, even these people have stress. Managing sand, learning and adhering to environmental concerns, etc. The fact that owning an island comes with some stress certainly doesn’t diminish my desire to own one, but I do know that I will need to manage any stressful events that arise. Most women respond to stress in one of three ways, as an escape artist, a distractor, or a solver. The Escape Artist does anything she can to remove herself from the stressful situation. Any solution that removes the stress in the short-term is a valid option in her mind. She isn’t overly concerned with the long-term consequences of the escape. She hates her job? She quits, even if she doesn’t have another position lined up. Relationship stress? She breaks up with her partner. The Distractor attempts to distract herself from the issue that’s causing the stress. This distraction often takes the form of SHOPPING, watching TV, doing chores, surfing the internet, or eating unhealthy foods. Have you ever found yourself looking at receipts from a shopping spree or lots of eating out and you hardly remember the spending? The Solver focuses on finding solutions to the cause of the stress. If there isn’t a solution to the stress, the solver does her best to relax and avoid worrying about anything beyond her control. Where do you see yourself typically responding to stress? As an escape artist? Distractor? Stress isn’t going away, so you not choosing how to respond to stress is going to be a problem. Poor responses to stress can negatively impact your physical and emotional health, as we tend to internalize stress and create worse results than the original issue. Whether or not you reach your career and life goals depends largely on how you respond to stress. Most successful women learn positive ways to manage their stress. Increasing your skills at reducing your stress helps you maximize success, health, and happiness. Focus on finding a solution. This makes the most sense. If you’re going to invest time and energy, invest them wisely. Rather than worrying, focus on finding a way out of the situation that’s causing you stress. If there’s nothing you can do, do your best to stop worrying about it. Keep your head down and implement your solution. Once you’ve found a solution, put all your effort into implementing it. Go all in! Think about how different your life will be if you commit all the energy you would have spent worrying toward finding a solution and putting it into action. Everyone deals with stress in her own unique way. It’s simple to mimic our parents or keep using the limited skills we developed in childhood. Most of us wish we were better at managing stress. Make time for examining this important part of your life because how you respond to stress really does matter.